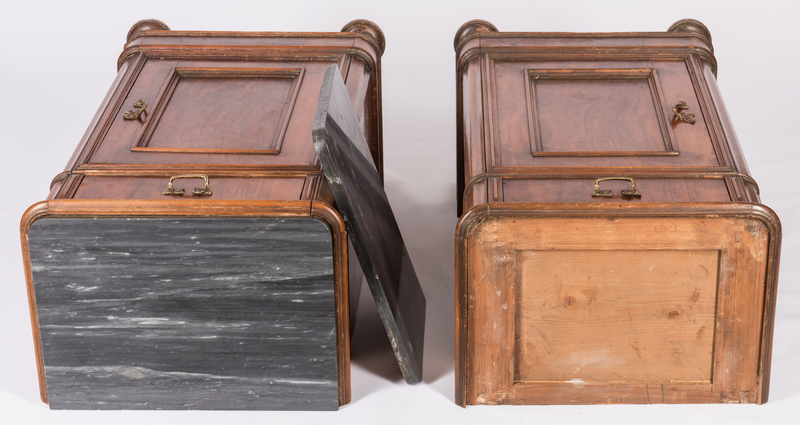 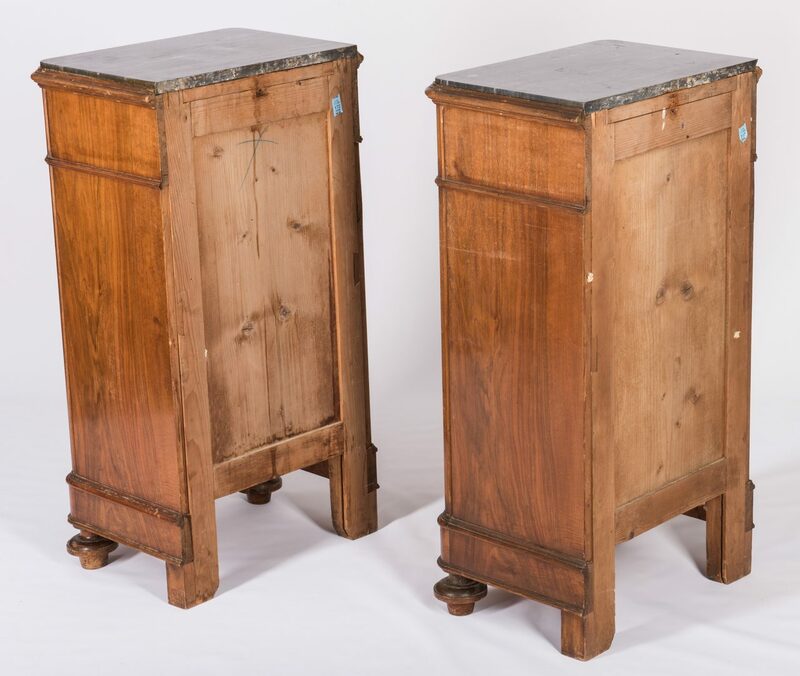 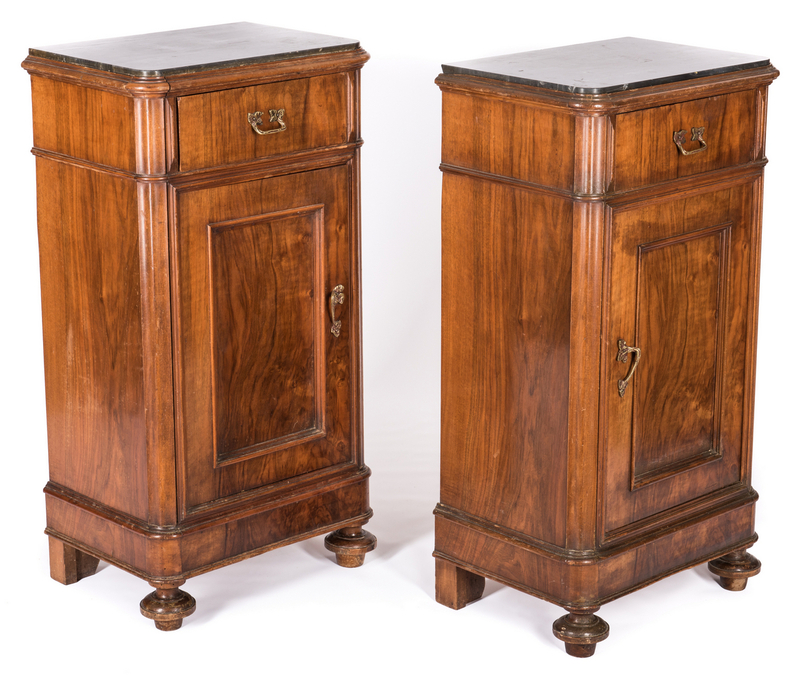 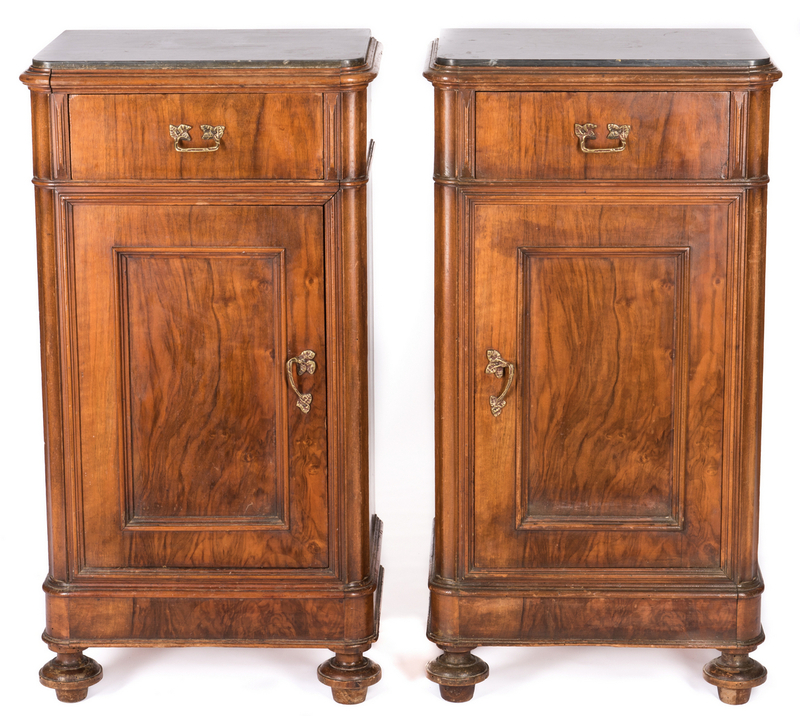 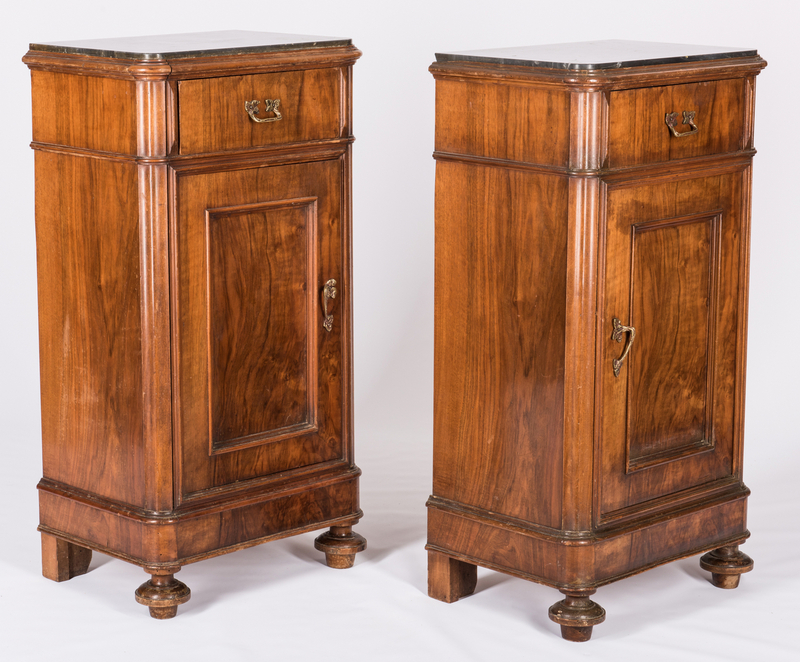 Pair of Louis Philippe commodes, finely grained walnut with pine or spruce secondary, each with inset black marble tops over a broad frieze having a single dovetailed drawer and single paneled door opening to an interior compartment with shelf, atop two bun feet in front and block feet in back. 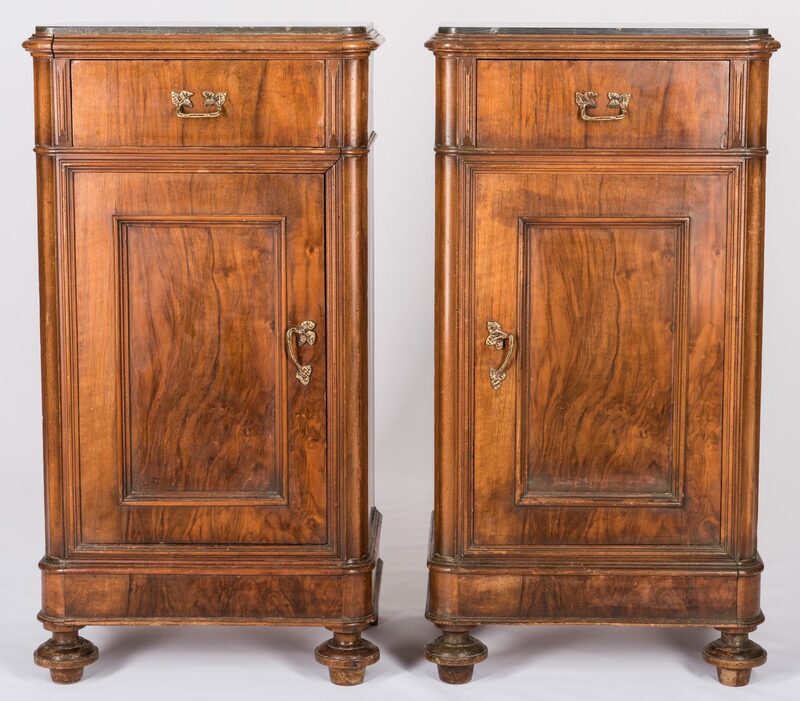 Gilt brass Rococo style hardware appears original. 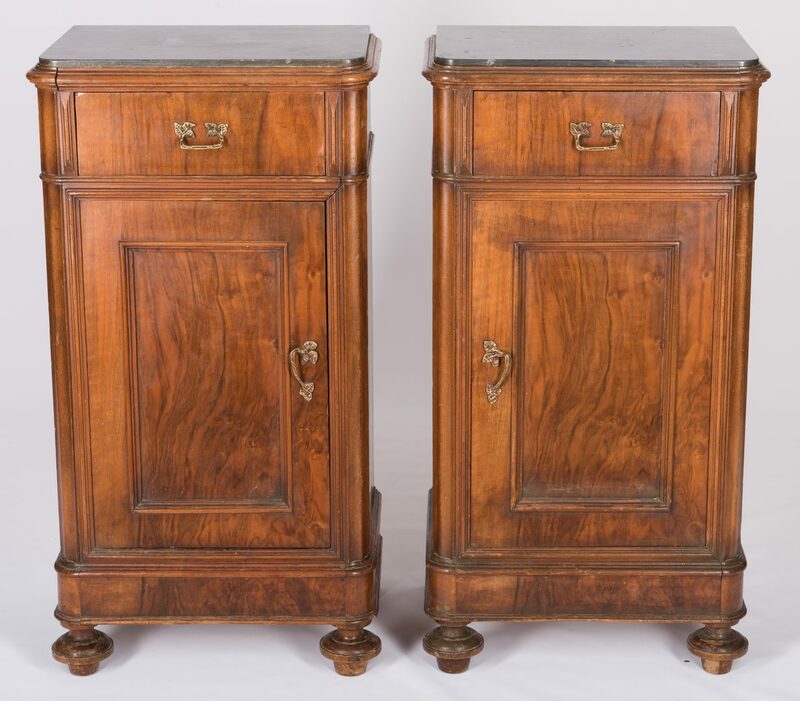 36" H x 19" W x 13" D. Continental, mid 19th century. 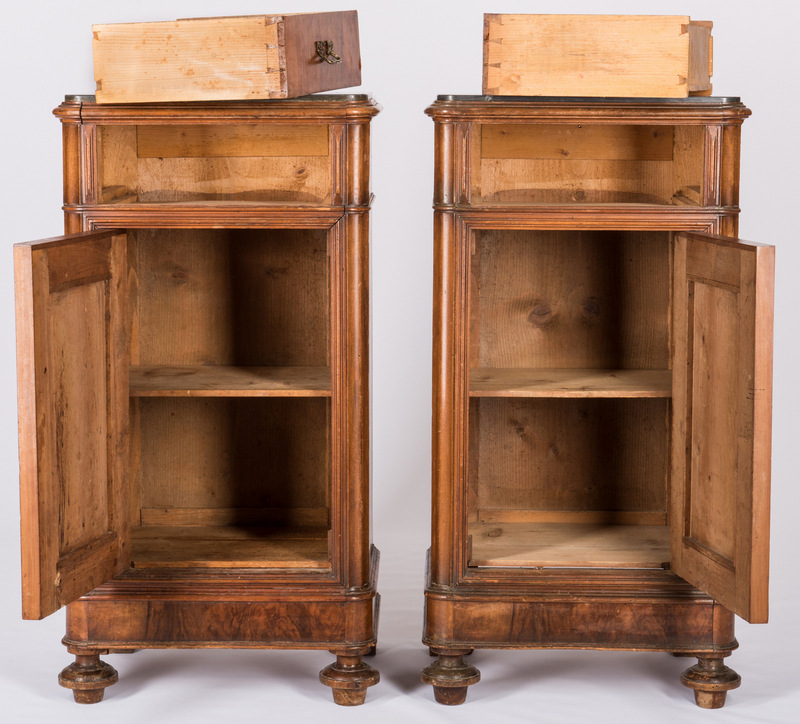 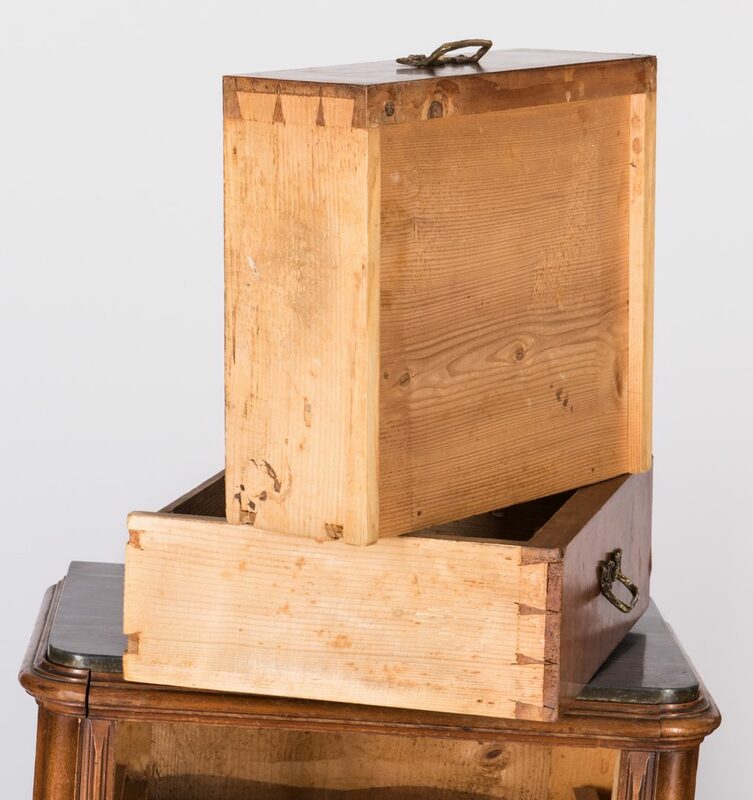 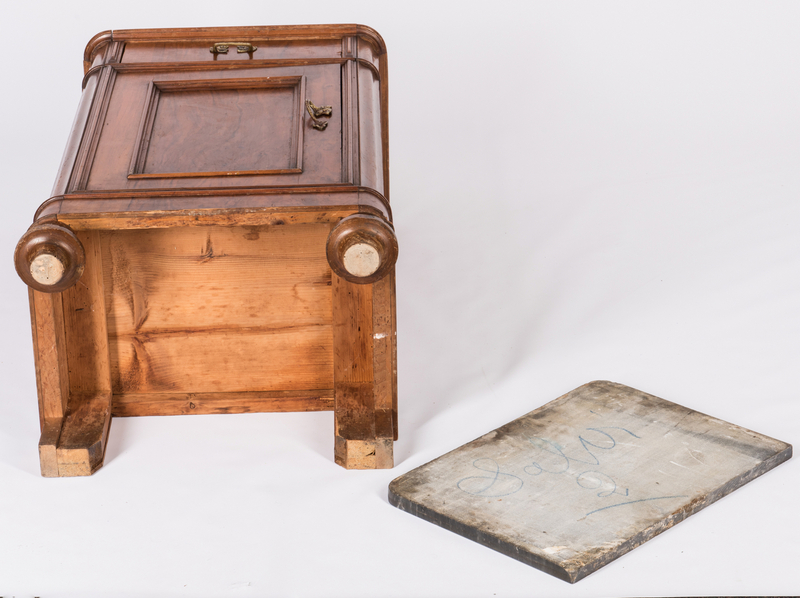 CONDITION: Overall good condition with general wear and small minor losses (especially to feet and edges of tops), couple small veneer chips, one rounded corner edge has been broken and reattached, scattered sun damage and surface abrasions.